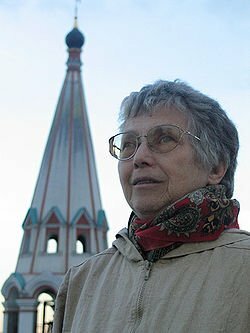 Russian dissident from Soviet-era Natalya Gorbanevskaya has died in Paris aged 77. Natalya Gorbanevskaya was arrested for taking part in a 1968 protest in Moscow’s Red Square against the Soviet invasion of Czechoslovakia. She was held in a psychiatric hospital until 1972 and later emigrated to the West. Earlier this year Natalya Gorbanevskaya and others held another protest in Red Square making the 45th anniversary of the invasion. They were briefly detained by authorities for holding an unauthorized protest. Natalya Gorbanevskaya, a poet and translator, was a founding member of the underground publication The Chronicle of Current Events, which documented human rights abuses in the Soviet Union. In August 1968 Soviet and Warsaw Pact troops and tanks poured into Czechoslovakia to crush its government’s liberal reforms known as the “Prague Spring”. Natalya Gorbanevskaya was one of eight dissidents who took to Red Square in protest at the invasion but they were quickly rounded up by security forces. A mother of two children, Natalya Gorbanevskaya was later “diagnosed” with schizophrenia and subjected to forcible psychiatric treatment at Moscow’s then-notorious Serbsky Institute, Russian news agency Ria Novosti reported. On her release, Natalya Gorbanevskaya emigrated to Paris and worked as a journalist. In 1976, Joan Baez released a song, Natalia, dedicated to Natalya Gorbanevskaya.